Patanjali Neem Tulsi Face Wash is a unique herbal formulation that produces a gentle cleansing effect on the face. It is a soap-free product. It can be used to control moisture and restore the natural balance of oil in the skin. It contains several herbal ingredients including Neem and Tulsi both of which possess potent medicinal properties to enhance the health of the skin. This patanjali face wash is best suited for the people having a normal to oily skin. The benefits of using Patanjali Neem Tulsi Face Wash, its ingredients and the directions for use are discussed beneath. Patanjali Neem Tulsi Face Wash helps in the treatment of skin problems like acne and wrinkles. It promotes the health of the skin and restores its youthful glow. Below are the common skin conditions that can be managed well with a regular use of Patanjali Neem Tulsi Face Wash. 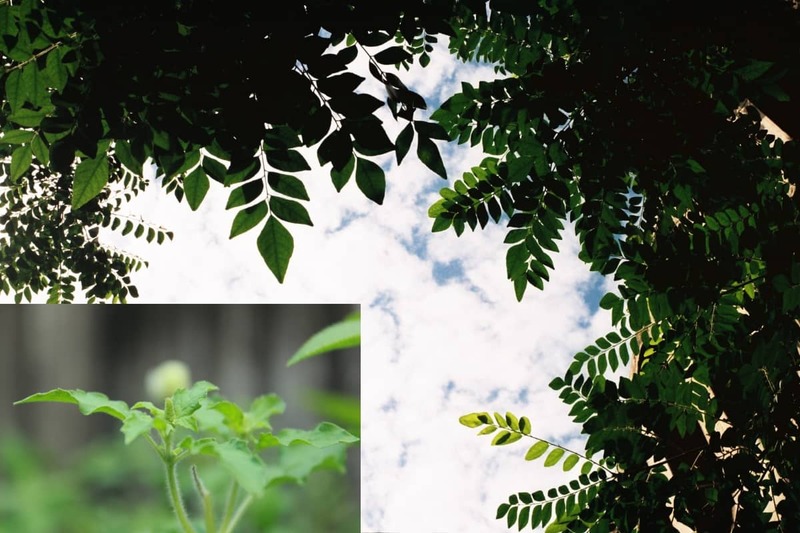 These herbs also help in reducing acne by controlling the effect of harmful environmental factors such as dust, sun rays, and pollutants on the skin by producing a strong antioxidant action. Patanjali Neem Tulsi Face Wash also reduces acne scars and clears the skin. It prevents the recurrence of blackheads and whiteheads. A regular use of Patanjali Neem Tulsi Face Wash makes the skin clear and even-toned. Patanjali Neem Tulsi Face Wash can be used to balance the secretion foil in the skin. It can prevent the excess sebum from getting accumulated on the skin surface thus preventing a person from looking unrefreshed and even unhygienic. Oily skin is a result of an excess production of sebum, an oily substance, from the sebaceous glands present in the skin. Our skin is constantly exposed to the environmental pollutants, which damage the skin and make it appear dull. Though a healthy production of sebum is necessary to protect the skin from these pollutants, it’s very high production can cause a number of skin problems like acne. Patanjali face wash, by regulating the production of sebum in the sebaceous glands, prevents the skin from appearing oily and unattractive. 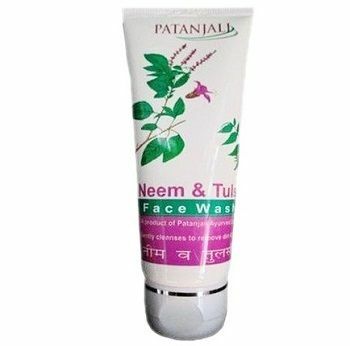 Patanjali Neem Tulsi Face Wash can be used as a cleansing agent for the skin. The skin comes in contact with dust, pollutants as well as harsh chemicals used in cosmetics. These chemicals can penetrate deeper into the skin pores and cause long-term negative effects. These chemicals can damage the delicate skin of the face and cause wrinkles and fine lines to appear at an earlier age. The deeper action of Patanjali Neem Tulsi Face Wash helps to remove the toxins from the inner layers of skin and cleanses it from within. Apply Patanjali Neem Tulsi Face Wash gently on the wet face and massage for at least one minute.